10th of August 1961, is considered as the saddest day in the last 50 years of history of Vietnam. 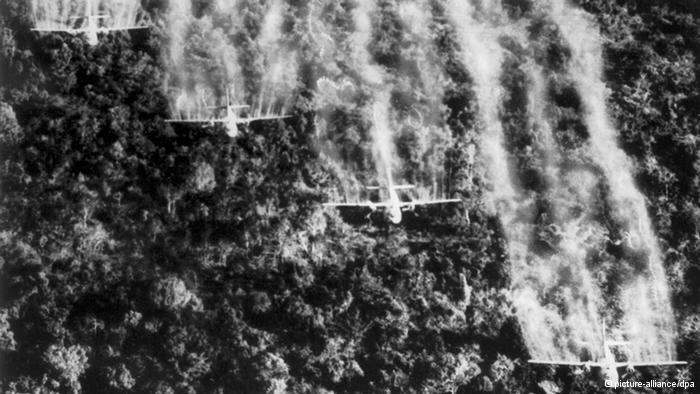 On very this day, American aircraft had sprayed a chemical known as Agent Orange on jungles of Vietnam. This chemical was transported in steel drums, which were painted with orange stripes on the outside and this is the reason for which the chemical was commonly known as Agent orange. This chemical has a property by which it destroys all the flora or foliage, including shrubs, trees and grasses, on the ground, where it is sprayed. US Generals had thought that US forces find it difficult to fight the Communist Vietnamese soldiers, because they are hidden in the dense jungles of Vietnam. It was therefore decided by US chief of staff that the jungles themselves should be destroyed so that the Vietnamese soldiers would be exposed and decided to use Agent orange for this purpose. Between 1961 and 1971, or in a decade, American airplanes sprayed 80 Million Liters of Agent Orange on Vietnam Jungles. Agent Orange contains a deadly poisonous substance known as Dioxin and it was found that in this decade approximately 366 Kg of Dioxin was sprayed on Vietnamese soil. The Army Generals, who took the decisions of spraying Agent Orange, perhaps never thought about the ill effects, this deadly poison would have, on the innocent common people of Vietnam, who were not involved in this war at all. According to an estimate, the decade of spraying of Agent Orange affected at least 4.8 Million innocent Vietnamese and at least 3 or 4 hundred thousand people must have lost their lives in this period. For hundreds of thousands of other people, bad long term effects were caused by this chemical, such as Cancer and Genetic mutations. 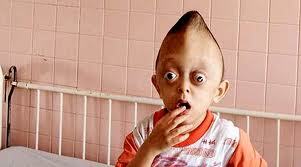 Large number of children were born in subsequent years with terrible physical disabilities. Today within the southern city of Ho-Chi-Min city itself, there are more that 4000 such citizens that are affected by Agent Orange. A social service organization known as VAVA or Vietnam Association for Victims of Agent Orange is making efforts to help the sufferers of Agent Orange. American senator John MacCain claims that US Government has spent more that 46 Million Dollars on care and rehabilitation Agent Orange affected Vietnamese people. 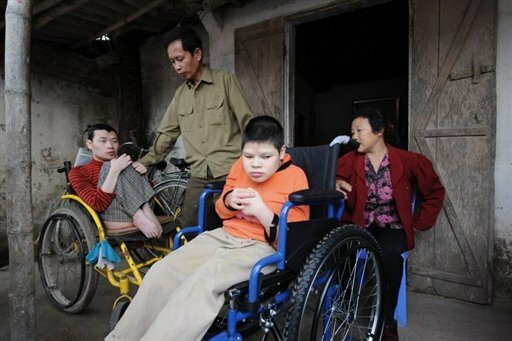 However in 2005, in a legal suite filed against the manufacturers of Agent Orange, American judiciary has given a judgment that has ruled against the 'Agent Orange affected' Vietnamese people. Because of this judgment it has become almost impossible to get any funding from US Government for help to these affected people. This organization (VAVA) is now trying to arrange charity shows of popular rock stars to raise money to help these people. Vietnam Government has also decided to mark, 10th of August of every year as “Orange Day,” to remember these unfortunate people. I saw recently some photographs of these affected people and also of the genetic defects with which some post war children are born with. The photographs are so pathetic and sad that it requires a special effort to stop and not to cry.